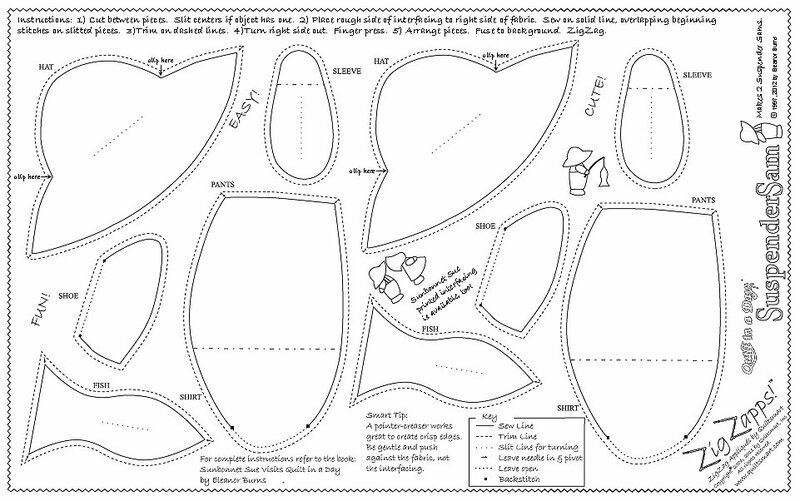 Ten Suspender Sam figures on printed fusible interfacing. Quilt in a Day book.....? - make it one of the photos.